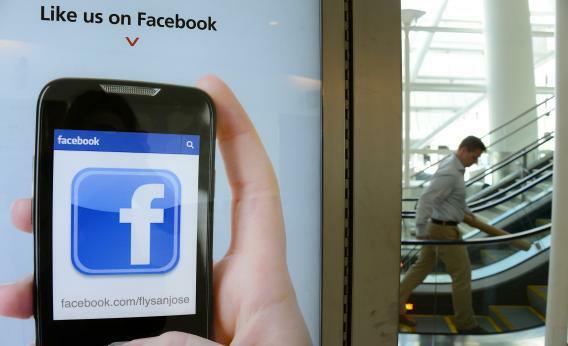 Advertising on Facebook: It's finally good for winning votes. A political campaign no longer has to be liked on Facebook to hunt for votes there. To amp up the effectiveness of its ads, Facebook in recent months has begun allowing marketers to target ads at users based on the email address and phone number they list on their profiles, or based on their surfing habits on other sites….In September, Facebook began allowing marketers with their own lists of email addresses and phone numbers to target ads at specific groups of Facebook users of at least 20 at a time. Facebook matches up that outside data with information users have entered into their profile. Facebook’s tough grip on member data made it impossible to match up users’ Facebook profiles to their voter-file identities, unless supporters identified their friends manually. Ads had to be targeted through users’ “likes,” which naturally made it a poor platform for the two dominant modes of electoral communication: persuasion and mobilization. Is anyone who clicks to “like” Barack Obama going to possibly be persuadable? And is someone who goes to the trouble to “like” Mitt Romney going to be the type of voter who requires an extra nudge to the polls? Since no campaign wants to individually engage voters in those terms without knowing who they are and how they are likely to vote, campaigns stuck to ancillary activity on Facebook. They produced content they hoped would be shareable, or engineered stunts that could go viral. They experimented with ad buys, but typically with the goal of converting supporters into volunteers or donors, where poor targeting carries little risk. A fun example of this is suggested by Joe Trippi in a Politico story about small-dollar online fundraising: sending ads to promote a meet-George-Clooney fundraising contest to those who liked Ocean’s 11. If one of the ads is served to a Cheadle-loving Republican, what’s the downside? But the ability to link Facebook users to individual data points on their voter-file records ought to dramatically expand the type of electioneering that can be intelligently conducted on social-media platforms. A recent get-out-the-vote experiment by UCSD’s James Fowler involving 61 million Facebook users demonstrated the network’s unique potential to combine online social pressure with offline voter identification.